The festival is a unique event in the Tamar Valley area bringing many visitors and artists to Northern Tasmania from interstate and overseas. It is the major annual cultural event held over three days in George Town being regarded for its high reputation as a musical and artistic festival and is recognised as part of the National Folk Festival calendar in Australia. The festival consists of music sessions, concerts, themed concerts, children's activities, poetry and dance. We also have music in the street on Saturday morning. 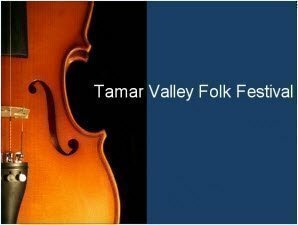 The concert venues are all under cover and set in beautiful surroundings of the Tamar River and historic town of George Town. Three days of music, song, dance, poetry and story telling. Held in and around the centre of George Town. Weekend tickets available online as well as tickets to the Damien Leith Concert. Door sales available. Buy your tickets before the event and save time and money! ¹Includes reserved seating at Damien Lieth’s concert on Saturday at 2.30pm. Please bring your Concession Card for presentation at the festival. Please bring your ticket to exchange for your Festival Wristband to the Memorial Hall on Macquarie St, George Town. Wristband exchanging will be available from noon on 18 January 2019. ¹Weekend tickets include reserved seating at Damien Leith Concert Jan 19th 2.30pm. Reserved seating held until 2.40.